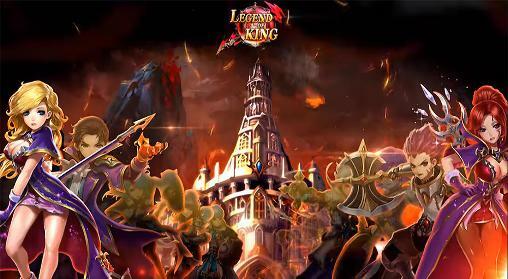 Legend of King: Troy - is a fantasy MMORPG mobile game which has shocked the whole Asia. Too much thriller of Spartan story and shocking effect of the gaming experience would pick you to Starting Adventures! ◆Sound effects of deep impact: various score adapting different scenes, put your headset, or it’s your loss! ◆Original instances with formidable bosses: Awaiting your challenge! ◆Real-Time battle with hundreds of players in the same screen: 100 vs 100 battle daily! ◆Experience all classes with one account: Brand new avatar system, switching 8 classes only by ONE key! ◆Customized equipment at your will: Build thousands of exclusive equipment as you like, Must be unique! ◆DOTA-like tower defense mode: Are you ready to survive to the endless trial with 100 waves of monsters? “Legend of King: Troy” leads you to a fresh new journey with your pals! Glittering golden equipment and ultimate awakening skills shall boost your battle rating and make you like an unstoppable monster! Legend of King: Troy: install APK and play the game.